Well, that didn't take long: almost two dozen sellers at China's immense Taobao online shopping mall have begun advertising “The Suarez Bottle Opener”, a keychain-sized tribute to one of the 2014 FIFA World Cup of soccer's most notorious incidents. For those who haven't heard and/or have spent the past few days in a drunken stupor, “the bite felt 'round the world” occurred in the 79th minute of a pivotal game between Uruguay and Italy. 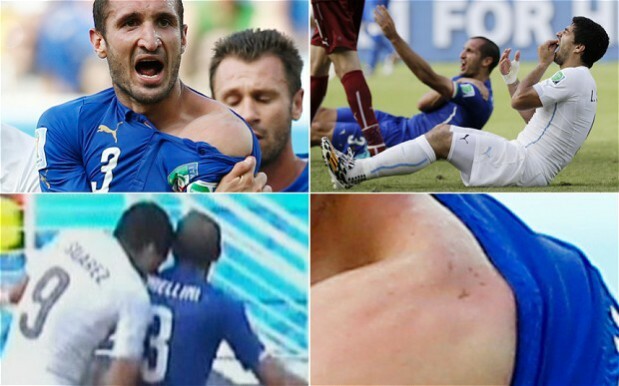 With the score tied 0-0, Uruguayan star forward Luis Suarez was seen to lunge at Italian defender Giorgio Chiellini from behind, chomping down on the stunned player's shoulder and leaving a visible bite mark. Tell it to China's internet entrepreneurs, Luis! 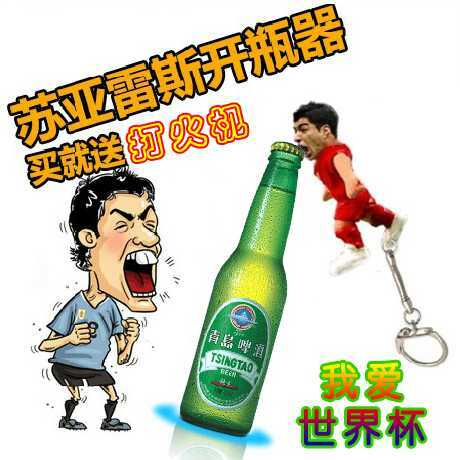 Within 24 hours of the incisor incident occurring, ads began popping up at Taobao for the “The Suarez Bottle Opener” keychain. Most of the ads feature the same image of the opener in action against an American beer bottle such as Budweiser or PBR – the sellers have already targeted their market and are sharpening their fangs, as it were. As for pricing, the listings range from 888 yuan to 9,999 yuan ($142 to $1604) but don't let the stickers shock you: pricing is expected to be adjusted downward once the product is actually in stock. That's right, everyone's merely accepting pre-orders and assembling waiting lists as the bottle openers have yet to be manufactured. There are even a couple of listings at Amazon.com.